I concluded my last Sunday sermon at Christ Church Cranbrook today with the text of a hymn by eighteenth century hymn writer Isaac Watts. In the hymn Christ Hath a Garden, Watts compares the Church to a fruitful garden. I had shared this text with our Vestry during the service in which they elected the new rector, The Rev'd Dr. William Danaher. Later in the service, our soloist Brian Leduc sang the hymn. From out the world's wide wilderness. This week, I conclude my service as Interim Rector at Christ Church Cranbrook. Many friends and colleagues have asked, "Where will you go from here?" At the end of my last Sunday service today, I gave the best answer I can give at this point and our Interim Director of Music, Jeffrey Smith, echoed the answer in his organ voluntary, which he titled "Improvisation on Nescio quo vado, ego sum via." Wherever it is, God will be there with us. We'll let you know when we know! It has been awhile since I composed a Monday Message. This is not my last one, but it is the last one I will write from the spot I have enjoyed so much for the past twenty-two months by the big window in the study at the rectory. From this place, I have watched my friends the birds, squirrels, chipmunks, and deer gather at the feeders in the large English Oak tree. (If Bambi can think he's a skunk, I suppose these Cranbrook deer can think they are birds.) I have delighted in seeing the seasons change. I have marveled in the natural beauty of this place with all the trees and grass and flowers. I have observed people come and go from the parking lot to and from meetings, worship, study, service, and fellowship occasions at Christ Church Cranbrook. I have noticed the gardeners, craftsmen, contractors, and others as they care for these impressive buildings and gardens. It is a prime location from which to behold God’s world and God’s people! Here, I’ve written Monday Messages, sermons, meeting agendas, lessons, letters of congratulations, appreciation, and condolence, and countless emails about our work together during this time of transition. It was here that I sat to edit and send the final draft of the announcement of the call of the person who will sit here after me. He will see many of the same things I see. Some things will look pretty much the same to him as they have to me. Other things will look completely different. That's becauase God in love and wisdom made us different people with different ways of seeing things. It is such differences that are woven together into a fabric that makes the Church strong and beautiful. The window of the study is very large and it faces just the right direction, providing the best vantage point from which a Rector can see what's going on. I’ve often felt gratitude for such a generous gift. And I’ve often prayed for an even greater gift; that the window of my heart will be large and facing the right direction so that what I perceive with that vision will be guided by the Holy Spirit to make my ministry here faithful and fruitful. I’ve wanted to look through that window as I see the seasons change in your lives, as you come and go, as you do the work God has given you to do, and as you grow in grace and in the knowledge and love of God in Christ. I’ve seen some amazing things and I’ve watched you attempt and accomplish so much. Spread the gospel of Jesus Christ. The way I see it, both through the window in the rectory study and the window in my heart, we’ve accomplished great things for the advancement of God’s reign, the healing of hurts, the formation of lives, and for the future of the Christian faith. The way I see it, you are ready to welcome your new Rector and his family to join you in a remarkable adventure of faith in which your role as the leading Episcopal Church in the state will be strengthened and your influence in the wider Church at home and abroad will make a significant difference. The way I see it, the golden days in the life of Christ Church Cranbrook lie ahead of you and the greatest chapters in your testimony to our Savior Jesus Christ have yet to be written. Next Sunday will be the last one I spend with you as your Interim Rector. Ironically, my last actual public service of worship will be a wedding at 4:00 p.m. on Saturday, August 30. After that wedding, I’ll be removing my vestments as Fr. Bill Danaher is putting his on to celebrate his first Eucharist with you at 5:00 p.m. Talk about a “seamless transition!” Between now and then, I still have several things to finish, so you’ll be seeing me around. Gay and I are still not certain where our next place of ministry will be. This is not unusual in transition ministry. We are in conversation with several persons and are confident that the right opportunity will soon be revealed. It is a time of discernment for us. Fr. Bill and the Wardens have graciously offered us the use of the Wolgast House for the next few weeks as we determine our next steps. Our hearts are filled with gratitude for you and for the time we’ve spent with you. The way I see it, God is still bountiful, God’s people still seek his face, God’s world still needs the Church to be at its best, and the best is yet to be! 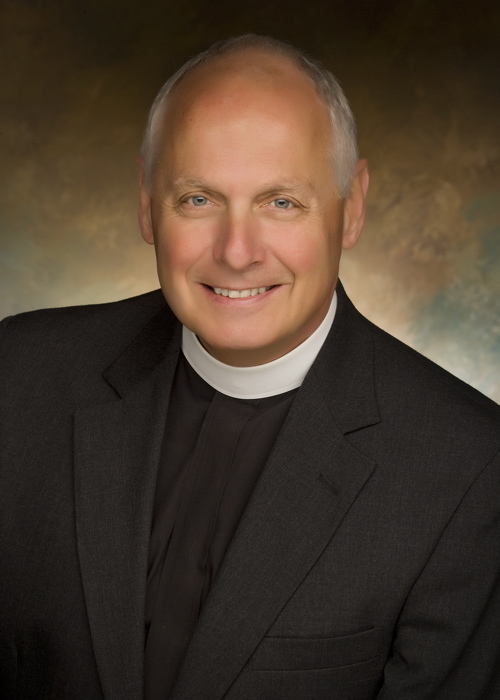 The Reverend Deacon Tim Spannaus, Ph.D., is a Vocational Deacon in The Episcopal Church, assigned by the Bishop to St. John's Church in Royal Oak, Michigan. He has a few weeks to share with Christ Church Cranbrook this summer and will be teaching, preaching, and serving in the liturgy. In today's homily, Deacon Tim describes the life and work of a Deacon.